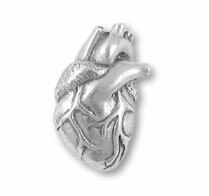 Hand-cast pewter heart lapel pin. Measures 1/2" X 7/8". Comes in it's own jewelry pouch.